The uncrowned king of worldwide casino cheats lives a happy life, far away from the gambling scenery. According to the latest news, Richard Marcus retired from a lifelong cheating career and continued to share his knowledge with people who are determined to widen their horizons in the casino genre. Richard Marcus is a well known author and lecturer, who is determined to give a helping hand for those who want to become as skilled as he once used to be. To tell you the truth, you could easily count the ones who mastered this art at such an extent as Richard Marcus did, using only the fingers from one of your hands! His story dates back to times, when more and more gamblers realized that getting an edge on the casino was just impossible! Playing fairly just wasn't his thing, being an unsophisticated player was just not the answer for Marcus! Being such a player, was not enough to find shortcuts in the gambling industry and this is probably the reason why he decided to become a dealer. After this stage of his life has been fulfilled, it was time for Richard Marcus to get support from a notable mentor. The latter one underlined once and for all, that the casino cannot be beaten with conventional methods. The latter idea is actually the one that has lead to his famous theories about the indispensability of cheating, while gambling. One of his books is entitled 'American Roulette' and tracks down his life from the early phase of being a poor gambler to being a wealthy cheater. It goes without saying that the whole book is centered on the idea of cheating at the roulette table. Those who can read between the lines will discover that the king of cheating has applied endless methods in order to get an edge. The most impressive of all is linked to placing chips on areas that have already been won. The book entitled 'American Roulette' was only a spark, meant to set fire to another revolutionary edition: "The World's Greatest Gambling Scams". 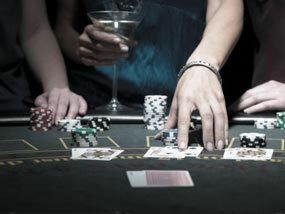 The book highlights the best cheating strategies that can be used at the local casino: card marking, using computer systems to predict the results, placing additional chips and last but not least, using the dealer as a conspirator. Another fine gem is entitled 'Dirt Poker'. Herein phenomena such as the poker boom, chip dumping and other helping methods are being examined. The truth is that Richard Marcus has come to admit defeat, when the online version of roulette made a sparkling appearance on the World Wide Web. You can however see him on British TV and buy his books on his personal website. Hiring him to present seminars is also an option.